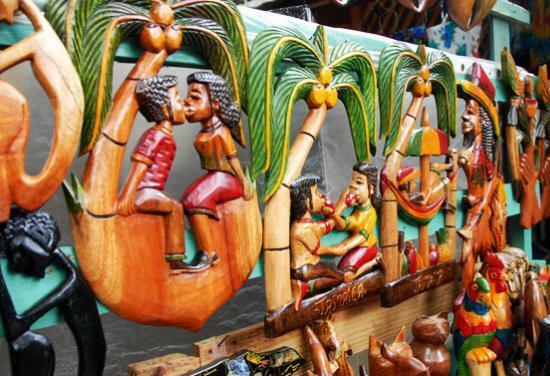 Visit the most popular attraction in the Caribbean for less! 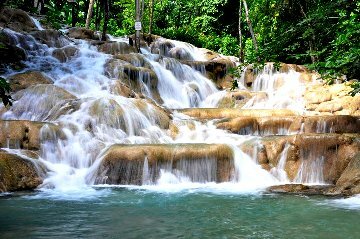 This tour package was designed especially for the budget traveler who desires the experience of Dunn's River Falls & nothing else! 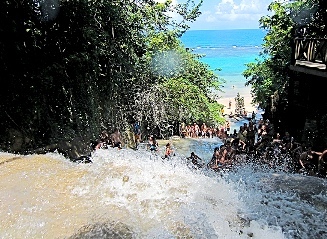 Experience thrill and excitement as you have the option to climb this magnificent natural stone staircase at Dunn's River Falls. Enjoy the different water flows and soak in the soothing effects of the exhilarating water as it cascades to the sea. 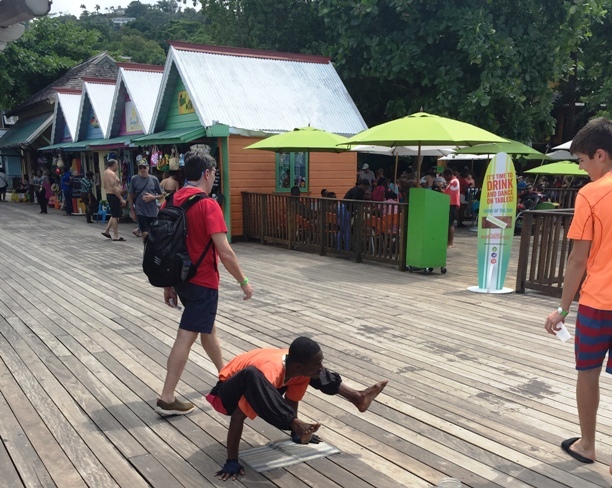 When you’re on vacation, your stop in Ocho Rios is way too precious to waste standing in line! Make the most of your free time by pre-booking. 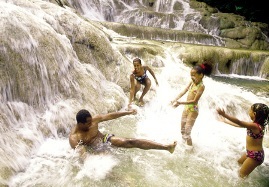 Let's beat the crowd on this exclusive Jaital Dunn's River Falls Excursion! Trip was good and guide was good. Everything was fabulous with the website, guide and driver!! The only issue is it took us long to get back to the driver and the other people in our group (who had small children and didn’t walk up the falls) were annoyed with us for taking too long and gave us attitude. But we will book with Jaital again!! Thanks for an amazing day at the falls!!! The excursion was great. The driver was prompt and polite. Highly recommend. We enjoyed our tour with your company. We were promptly taken to Dunn's river and even got a bit of Jamaican history as we travelling up in the mini-bus. We thought the entire experience was value for money and really enjoyed it. We want to thank you for a most excellent excursion to Dunn’s Falls!!! Everything from beginning to end was handled flawlessly by your company! The instructions on where to meet Charlotte to begin our excursion couldn’t have been clearer. Our driver, whose name I am very sorry that I cannot recall, was absolutely delightful! He gave us interesting commentary on the history of Jamaica, and when we got to Dunn’s Fall, he found a wonderful guide for us. Our guide for Dunn’s Falls, R. Thompson, was everything that you could ask for in a guide to the falls! Because we got to the falls early based on your recommendation, Mr. Thompson was able to give us a private guided tour up the falls. He took many photos of us using our camera. Mr. Thompson took perfect care of us!!! After we went up the falls, we had time to walk back down and take more photos before meeting back up with our driver. Our driver then drove us right back to the cruise pier as we requested. We highly recommend Jaital Tours!!! We cannot imagine any other tour company doing a better job that y’all did that day! Thank you!! Great service and tour driver. Enjoyed the tour and experience. I will recommend your tour company to all my cruise friends. This was a tremendous tour and could not fault it at all from start to finish. The driver was very knowledgeable and gave us a running commentary about our surroundings on the way to the falls. The falls themselves were amazing and again the driver got all the tickets and explained very clearly what to do. We were a party of 4 and really enjoyed this experience, will definitely use Jaital again. Everything went very well! We had a wonderful time, our guide was awesome and very patient. I would definitely recommend your company! Thank you for the services rendered. Our driver was outstanding and Dunn's River Falls an awesome experience!! We had a wonderful time with Jaital Dunns River Run. The only thing is we found it difficult to find the meeting point, thus shortening our time at the falls. We were unable to complete the climb only halfway. However, everything else was excellent. Our driver, our hostess, the condition of the vehicle. The website was easy to use and we will use it in the future. So glad I found it. My daughter and I had a FABULOUS time thanks to Jaital! And our excellent driver, Sylvan! I am a travel agent and I will not hesitate to recommend Jaital to my clients and travel partner colleagues. Thank you for making our trip a total pleasant and memorable trip! Absolutely top notch. Even with the misunderstanding of not being a private tour we loved every minute. Staff was friendly and attentive. Drive was great. Staff at the falls were incredible. We will recommend to others. Thank you again!!! We are extremely satisfied with our experience with Jaital. Everyone was nice and when we got to the falls Jaital told us not to join the long line and went and got our tickets. We were able to start our tour ahead of the crowd and we enjoy everybit. We are so glad we found Jaital....The price for our tour was 3x cheaper than the amount sold on the cruise. Definitely recommend booking with them for VIP treatment! This is the first time we have used Jaital and we are quite pleased. The lady that met us at port was just super and so was the driver. Everyone was on time and we enjoyed our trip to the Dunns very much and highly recommend your company. The falls is absolutely beautiful!!! Staff & Driver are amazing! Thank you for a wonderful experience. Great experience from the beginning. Our driver was very helpful and patient. My wife was unable to climb the rocks and one of the tour guides waited with her until we were finished. Thanks for a wonderful experience. Wonderful day out... The falls is 10mins approx from the port. Be careful of the crowd if you go late...Jaital got us there quickly and we were able beat all that crowd. Jaital has an expedited service and they get your tickets ASAP! Drivers and staff are prompt and very friendly. You will not be disappointed if you choose this tour...very cheap & reliable tour company. Everything was very good and Jaital people very helpful. Thanks again and we will recommend you as much as we can. The person that greeted us in and the driver were very nice and onetime. 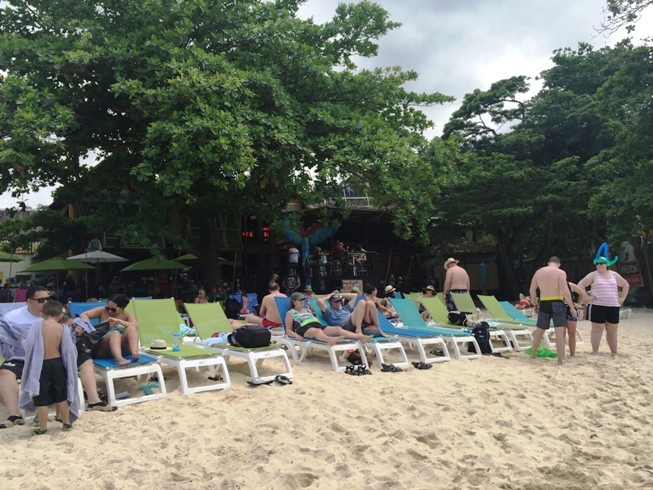 Thank you very much for our trip to Dunns River Falls which was most enjoyable and everything went very well. The day did not start well as it was pouring with rain and we got completely soaked coming off the cruise ship and trying to find your office!! However, from the minute we found you everything was great. The lady who booked us in was very friendly, our driver was good and we got away very quickly and reached the falls ahead of most of the crowds. Our guide was great and helped us to have a wonderful experience Our driver was there waiting to pick us up exactly as promised at the end. The whole experience was very well organised and most enjoyable. Trip was nice. Really enjoyed the falls!! It was awesome, our driver sylvan was the best! He even stop on our way for us to buy water shoes for us. He waited for us the whole time and very friendly. We enjoyed it so much, we decide to come back to Jamaica again for longer trip. We had an amazing experience while in Jamaica. Our driver Sylvan was awesome. Very knowledgeable of the island. It was a pleasure spending a couple of hours with him. We definitely recommend Jaital for future travelers. 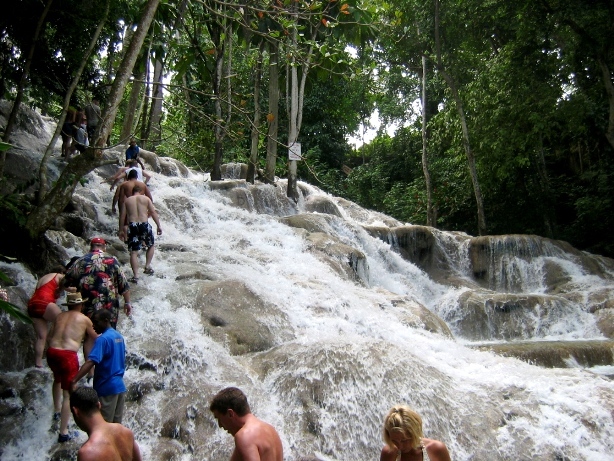 The Dunns River Falls excursion was amazing. Our driver did an excellent job and went out of our way to ensure our trip was enjoyable and hassle free. He went above and beyond our expectations and was super friendly. 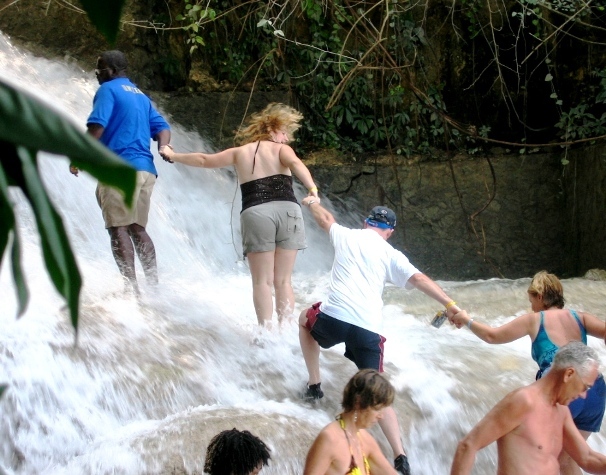 The Dunns River climb was great and our guide Dave did a good job in making sure we made it safely up the falls. All in all, a memorable adventure. Tour in Jamaica was great. Transportation. The Falls. And driver were all perfect. Thank you for a very smooth tour. 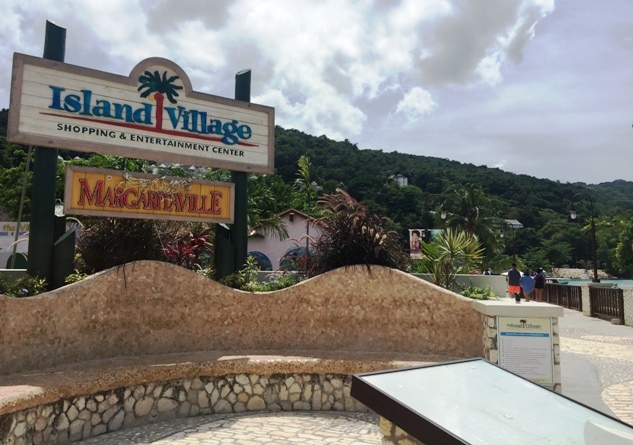 Our family's deep appreciation to your staff for the wonderful experience we all had at Dunns River Falls. You were very accommodating by including us with our other group that was also going on the river tubing excursion. It made for an even more enjoyable experience. Our ship was late arriving. The persons that met us at the dock and our driver were friendly, courteous and attentive. We will highly recommend your company when referring family and friends. Thank you so much. We wish you continued success in your business. We had a great experience for both of the tours booked through Jaital. Sylvan was our driver for both and was prompt, friendly, provided information on the island, etc. We had a WONDERFUL experience with your company! I'm so happy that I found you online, read your reviews & found out for myself what a great company you are. Your staff was gracious & you lived up to all our expectations. I will definitely use you again & will promote your company. This was our first cruise so we were a little nervous about how things worked and were concerned that we might not get back to the ship on time. I had sent them a couple of emails before we booked with them and they promptly responded each time. We were very pleased with Jaital's services. As soon as we exited the cruise ship in Ocho Rios and walked out the gate towards Oceans 11 the Jaital representative was waiting for us. They were very nice to deal with. The driver gave us details of the area as he drove, then when we arrived at Dunn’s River Falls he took us right up to the gate. He went in and had an employee come out to meet us and put our bracelets on while others had to stand in line waiting. He was at the gate waiting for us when we finished. He drove us to the restaurant and even went in with us to talk to the waitress to insure we were taken care of properly. An hour later he came back to pick us up and drove us to the shopping areas. We were very pleased with this company and will use them again when we return. Excellent! We really enjoyed our Dunns River Falls excursion. We will use you again on our next cruise. 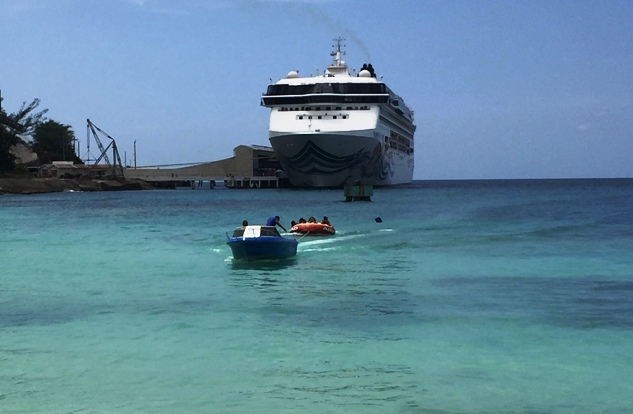 We had a very pleasant experience visiting Dunn River Run with Jaital tours. Both guide and driver were very friendly and courteous. My wife has a physical disability and our guide always helped her getting on and off the van. She also arranged for a wheel chair help at the site. She gave us a tour of the city describing its history. We had great time. My experience to Dunn River was wonderful. The website is very user friendly and provides a good description of what you will get out of the tour. Our driver was accommodating and our group tour guide Oliver with Dunn's River was amazing. It was a nice adventure climbing up the river. Dunn's Fall was the highlight of our time in Jamaica and would like to thank Stacy, Orlando, Henry, and videoman for their outstanding ways for this tour. We had a great experience with great memories to cherish and definitely will book again. Yes we had an incredible experience, your website is very user friendly. Regarding your guide and driver we loved them, Stacy and Orlando are the best of the best will love to go back to Jamaica and will use your tour again. The experience was great. We had a great driver and especially guide. One of the best excursion ever for me and my other parties. I had an awesome experience with your company. I will definitely be reserving future excursions with your company. You are a great company, everything went smoothly, we had a fun day. I wrote a positive review on TripAdvisor. We enjoyed the tour. Our driver was friendly and polite. We had him for 2 of our tours. He was a safe driver. my family & I did white water rafting & climbed Dunns River Falls. We had a personal driver who took us to & from both excursions. He was really professional, helpful and a wealth of information. My family consisted of myself, my husband and our 2 girls 10 & 5. And all of our needs were met & accomodated. We all thoroughly enjoyed both excursions & as a matter of fact we all agreed that they were our absolute favorites. Our tour guide durring the white river rafting was PHENOMENAL. He helped a lot with our little ones & even let us explore the river on foot and climb several little waterfalls before rafting which was a nice surprise. And our guide at Dunns River Falls was an ANGEL! I lost my GoPro camera & expensive sunglasses in the Falls & he dove down & found them both. We tipped everyone generously & they definitely earned it. I've been on the cruise sites & blogs recommending Jaital to everyone. Your prices were amazing & we will definitely book with you again. Thanks!!! I had booked a tour of Dunn's River Falls a few weeks back. We had the pleasure of having Colleen look after us. Colleen was prompt, professional and very friendly. Both of our drivers were very professional and friendly as well. I will definitely recommend Jaital tours to others and will use your services again myself. I would like to say that your people did a wonderful job on our excursion, everyone was prompt and courteous. We will use you services the next time we are in the Caribbean. We had a great time. Stacey was wonderful and we enjoyed visiting with her. Our driver was Orlando if I remember correctly - nice guy, we liked him too! They took great care of us. I had a fantastic trip! Our driver was polite, knowledgeable, and flexible with our time. I would recommend this tour! 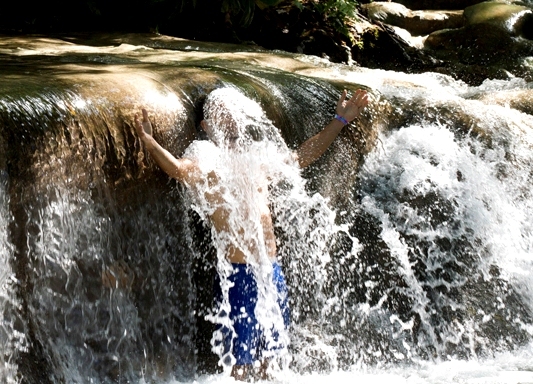 I did the Dunn's River Falls. just what we wanted. much cheaper than carnival! jaital did the job. they were well organized and the price was the lowest we found. It was a wonderful day and I would gladly book it again. Booking on the website was easy, no issues. Driver was friendly. Falls guide was great. We will be using your company again in Grand Cayman. 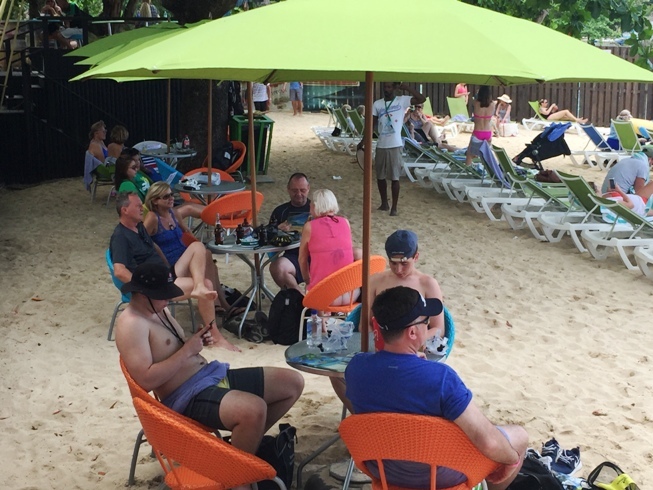 Our dunns river tour was well organized. Jaital met us at the port and got us all checked in and on our way. Once at the falls, we were able to store our stuff on the bus before the climb. All in all a great excursion! would do it again if we ever return to Jamaica. The falls was amazing and allot of fun. 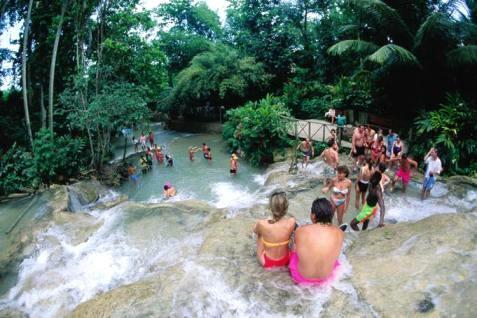 Dunn\'s River Falls Jaital.com !!!! We had a great experience in Jamaica. Our driver was prompt in picking us up. We were taken directly to Dunns falls. Everything was so organzied. We felt comfortable all the way. Thank you! Our family had a wonderful experience! We were greeted at the dock by our guide . He was great- very personable and friendly. We were escorted by a private taxi car to the falls and was promptly picked up after our tour. We felt secure and safe and that can sometimes be difficult on the island. We arrived at the Falls before all the cruise ship tours. There were no crowds or long lines. Our tour group was small-maybe 15 people-very nice! Highly recommend Jaital-they did a great job-Thank you!! 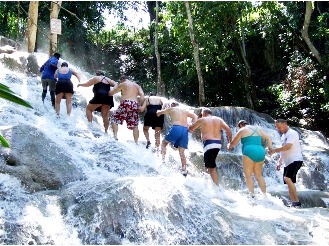 The Dunns River Fall climb was exhilarating and intense. Amazing day out! Thank you Jaital!!! We were very pleased with your service and your employees. Stacey was our tour guide and she made us feel welcome. She was energetic and friendly. We were picked up and dropped off as promised. Very pleased and will use you in the future. 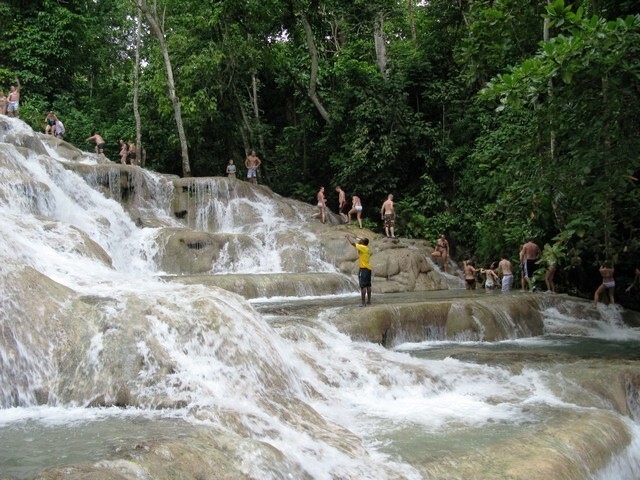 Our trip to DUnns River Falls was great . The driver was very courteous and helpful which added to our satisfaction with this trip. Had a blast at the falls!!! The driver was very friendly and offers many educational history about his country. We love this tour as we went straight to the falls without having to wait! It was ideal for us as we had a lot of time to see other other parts of the town! We are very pleased with your service. Booking was prompt and we received our confirmation voucher quickly. We were met by your tour guide who recognized us instantly. Everything was so quick and easy. We were taken straight to the dunn\'s falls and wow we had fun! Thank you Jaital for such an amazing day! We had a terrific time! We were picked up right after getting off our ship and taken straight to the falls, no waiting! Climbing the Falls was a great experience! We had a fantastic day! The guides at the Falls were very enthusiastic and fun. Great work, guys! I would recommend you and use you again! We had a great time at the falls! The climb was amazing and the water was cool and soothing. The driver was very nice. We had a great time, the Falls where fantastic along with everything else. The guides were helpful and encouraged a \"fun\" time. Look forward to experiencing again someday. The trip was awesome and your driver was great. I will recommend your service to my friends. My family was treated like family and we appreciate everything that you did for us. Our trip was wonderful and the driver was very nice and patient! First of all, thank you for help me arrange the excursion. We absolutely love the falls.Overall, You provide a good service from booking, guide, and the service from drivers.